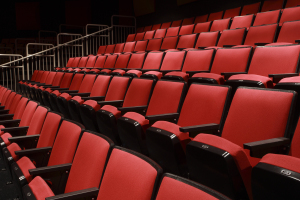 Although it’s unfortunate that North Richland Hills does not have a community theater of its own, we are lucky that one of the area’s best is in nearby Hurst. Check out the Artisan Center Theater as it produces All Shook Up, running January 2 through 31. This musical, which features the songs of Elvis Presley, is set in 1955. It follows a young guitar player as he shakes life into a sleepy town. The show runs Mondays, Tuesdays, Saturdays, and Sundays at 7:30. There are also 3:00 matinees on Saturdays. Artisan Center Theater was founded in 2002. The company presented its first show, Steel Magnolias, in 2003 in the old Birraporetti’s Restaurant in North Hills Mall. In 2005, the theater moved to its current location in an old movie theater in Bellaire Plaza. In 2012, the theater announced its five year expansion program. They are currently in the midst of expanding to a 26,000 square foot facility. The theater now boasts a 9 show Mainstage Season and a 9 show children’s season. Next up on the Mainstage is Mark Twain’s Tom Sawyer. Annie, Jr. is currently running on the children’s stage. Looking for a True Theater Immersion? Of course, after seeing the show, maybe you will want to get involved yourself. The Artisan is holding auditions for Singin’ in the Rain on Monday and Tuesday, January 19 and 20. Come prepared to sing 32 bars of a Broadway-style song. Perhaps you’ve always dreamed of going onstage, but you feel self-conscious about your appearance. Cosmetic flaws on your teeth can really take a toll on your self-esteem. In many cases, they can hold you back from the things you’ve always wanted to do – whether it is acting in a musical, agreeing to do a big presentation at work, or just smiling freely in front of the camera. Whatever it is that you long to do, we can help you get there with our cosmetic dentistry treatments. Teeth whitening, bonding and contouring, and porcelain veneers will give you a smile that is ready for the spotlight.